A study of Forks. Silver vintage forks lined up. Concept of change. 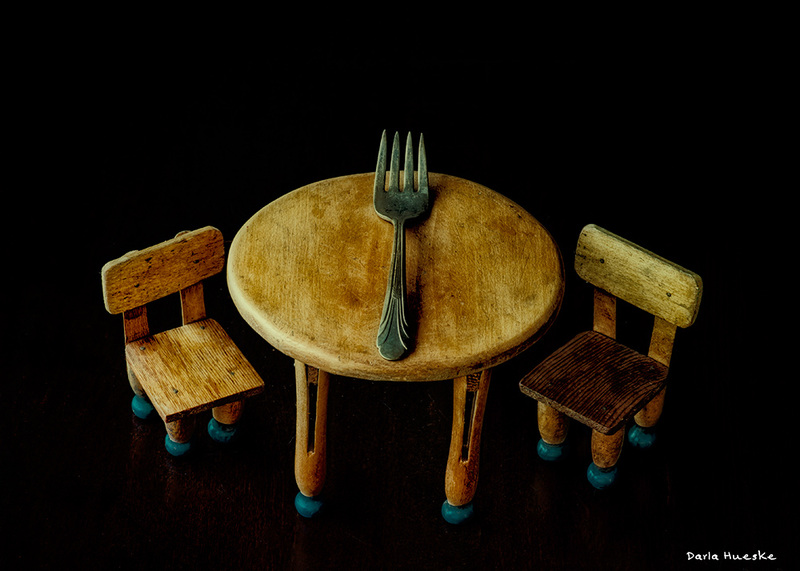 Fork on Table and Chairs: Nikon D700 with Tokina 100mm. 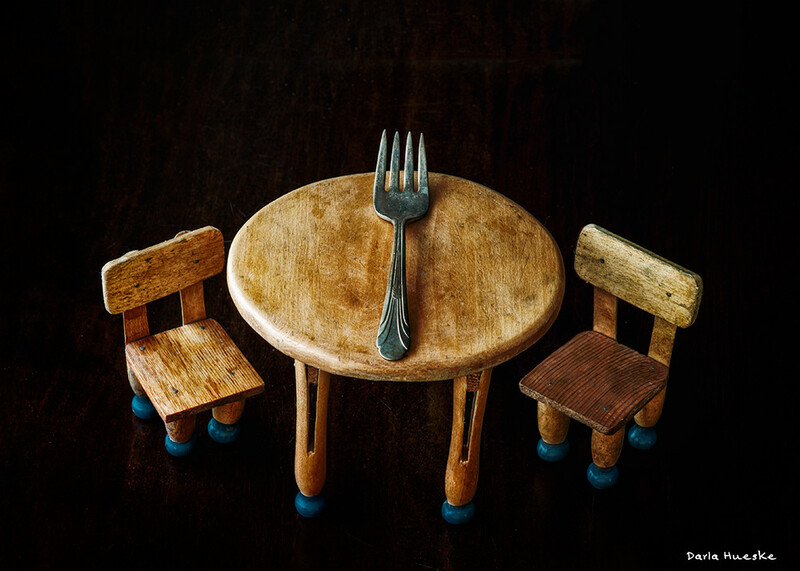 Vintage childrens table and chairs made by my grandfather for his children in 1940s. 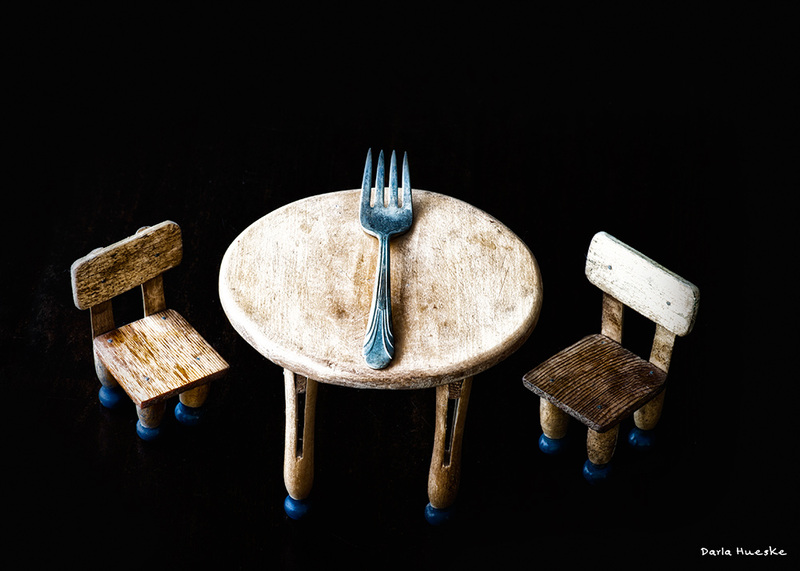 Chair and table made from wooden clothespins.